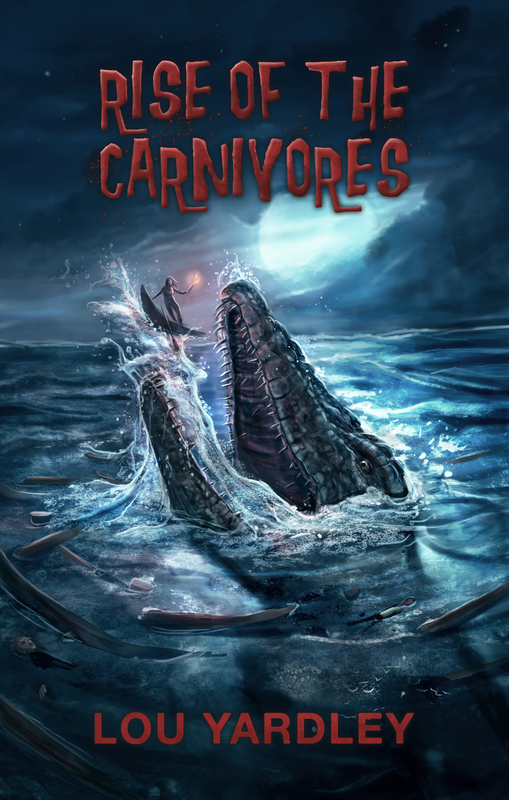 I loved working with author Lou Yardley on the horror book cover : Rise of the Carnivores. As soon as she said it featured a mosasaurus on cover, I wanted in. Lou wanted to create the image of a really desperate situation for the main character, with not much hope of escape! Lou loves writing horror, and has a really creative imagination (great to work with on a cover). You can find out more about Lou and her books here. Previous Post:Late pledges now available!